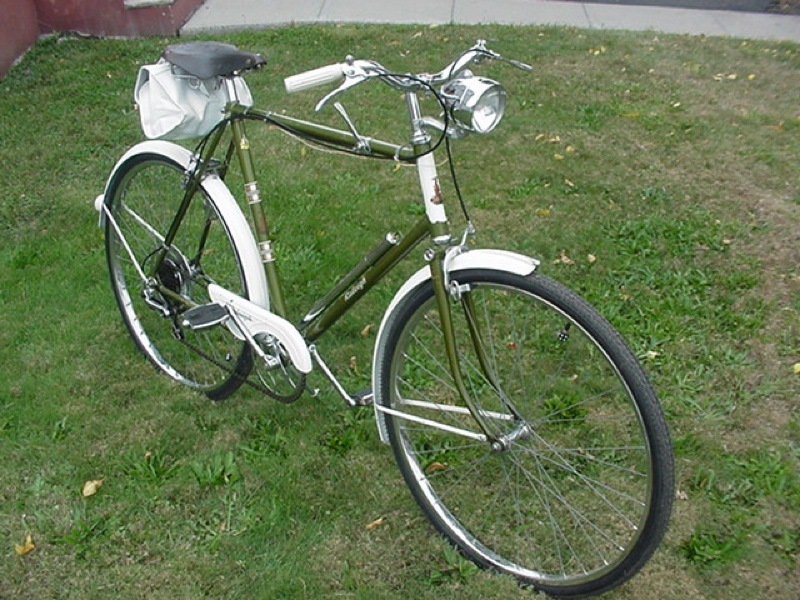 The second of two 5-speeds: Don S’s Raleigh HTF 5-speed. That has to be the longest shift lever I’ve ever seen; it makes those old Schwinn levers look puny. 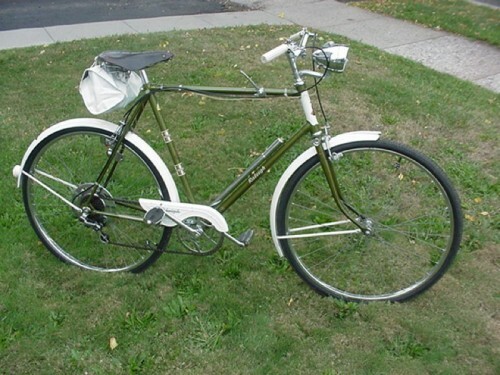 Hi, I’m Really digging all the Raleigh’s posted and would like to share mine with you..Although It seems to be 5 gears short (i’ll fix that later !) It is a real clean example. That is a real beauty! Fresh from a time capsule? It is nice to see some O5S’s gettting some recognition. Looks like a 5-speed Sprite from about 1970. The white fenders and chainguard in white seems unique, as well as pretty sharp looking. What a beautiful classic bike. It appears to have all the right (period correct) accessories. Is that a “castration shifter”? How cool is that! Excellent Bike. 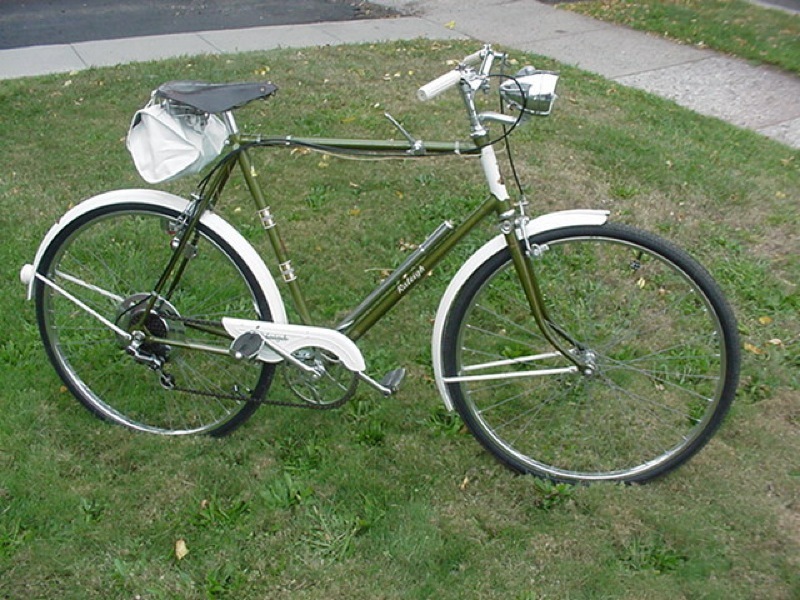 I have a 1964 Raleigh “Sports” but it is pretty rough. I`ll be happy if it comes out half as nice as yours. We tried hard to keep it looking original. The lights are Miller and the saddle bag is an after market one that we found in a dusty corner at the local bike shop ! I know this is an old post but I did come across this because I picked up a ladies version of this that I fixed up for my daughter. I can’t find much info on the one that we have though. That really is an amazing machine, although I could see the potential downside of that shifter.